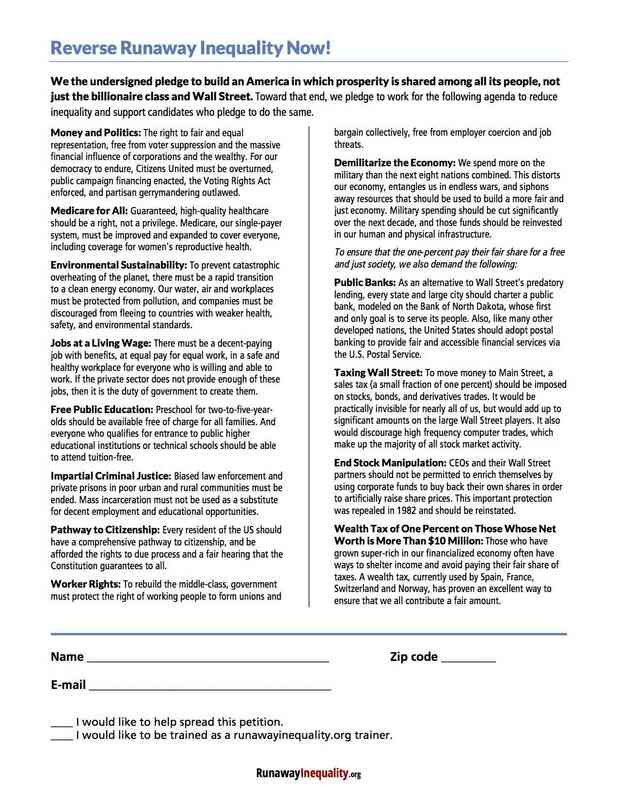 CEOs and their Wall Street partners should not be permitted to enrich themselves by using corporate funds to buy back their own shares in order to artificially raise share prices. This important protection was repealed in 1982 and should be reinstated. Ever since our political leaders began deregulating the financial industry back in the late 1970s, people on Wall Street have gotten richer, while regular Americans have fallen further and further behind. This is not a coincidence: Income and wealth are in fact being transferred from us to Wall Street. 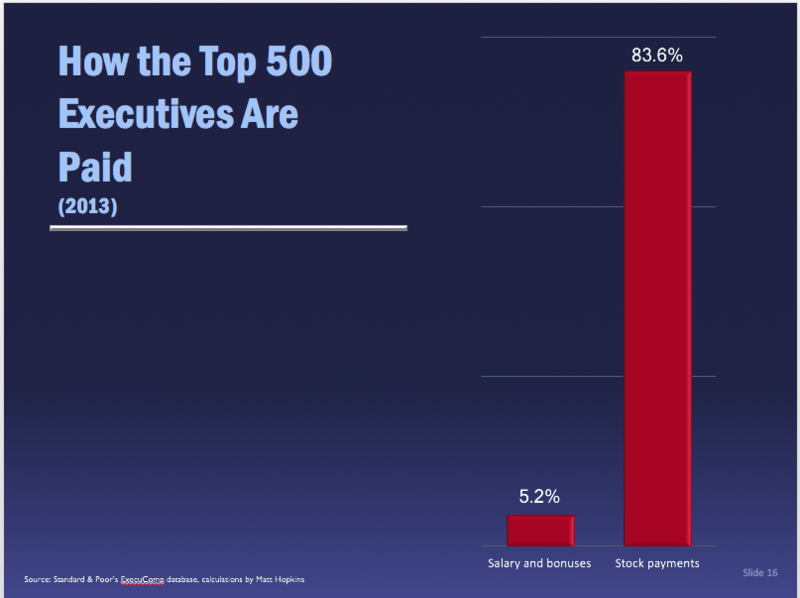 How did the CEO/ worker pay gap jump from 45 to one in 1970 to a whopping 829 to one by 2013? And what does deregulation have to do with it? Let’s go over this chart carefully. Before around 1980, when Wall Street was still tightly regulated, there were virtually no stock buy-backs. Corporations didn’t do that kind of thing because CEOs were not paid in stock options. Instead, they relied on salaries –really good ones that paid 20 to 40 times what the average worker earned. Instead of buying back shares, CEOs generally invested corporate earnings in their workers’ skills and wages, hoping to retain a productive workforce that would make their business prosper over the long haul. But as deregulation set in, the corporate raiders began snatching up companies and changing their corporate culture. They didn’t care about the long haul, they just wanted to drive up the value of their new companies as quickly as possible. 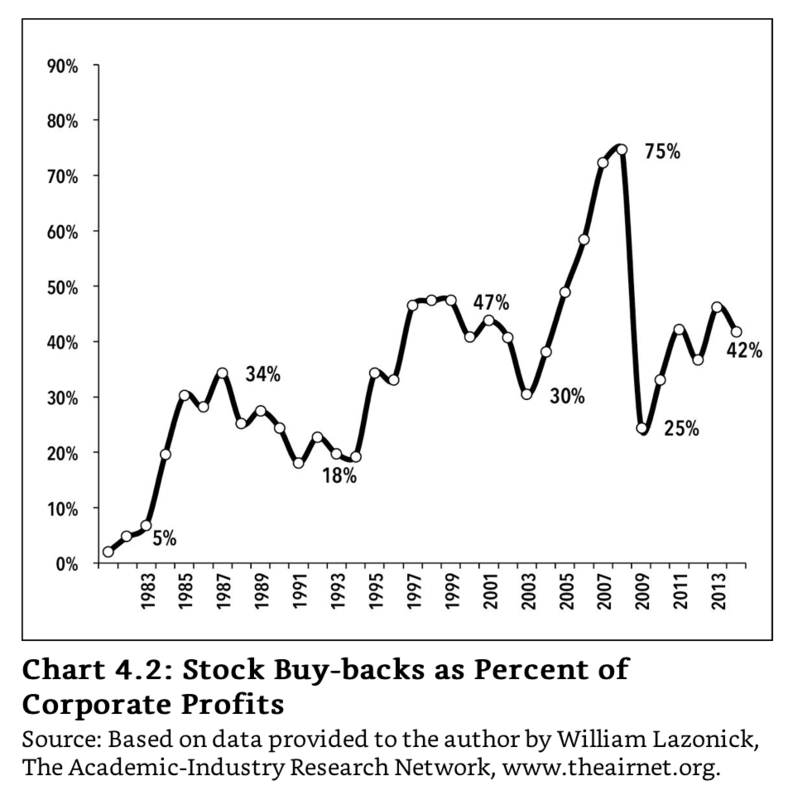 The more CEOs were paid through stock options, the more corporate revenues were diverted to buy back shares. Leopold, Les. Runaway Inequality: An Activist’s Guide to Economic Justice (pp. 47-48). Labor Institute Press. Kindle Edition.